Pink is so in right now! I love to wear it... especially on my insides! 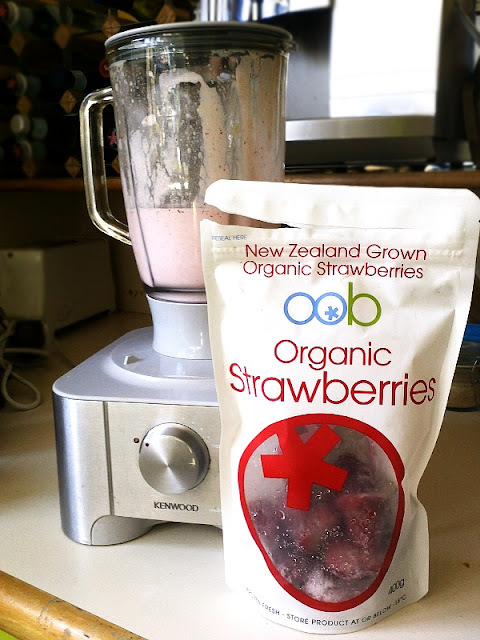 This morning, following an intense workout that involved burpees and the Tabata timer, I whipped up a pink smoothie using frozen strawberries from OOB. I'm convinced that most Stevia haters just used waaaay too much of it. Always use less than you think you will need. 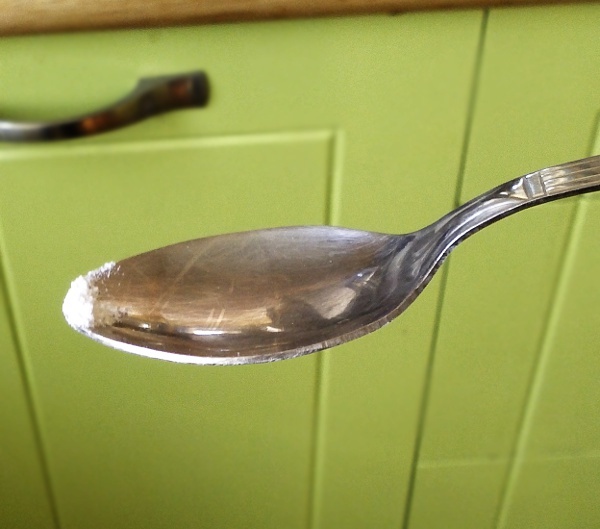 This is a teaspoon, and the correct amount for a smoothie is just a little bit on the end of it (technically, 1/64). You can always add more if you like it sweeter, but you can't take it out once it's in your smoothie! I would usually add some cacao beans to the mix for a nice kick, buuuut, I bought ridiculous straws, and the bean fragments don't travel up them without sticking. This makes for frustrating, red-faced, grunting smoothie slurping. (though amusing for anyone watching). The result. 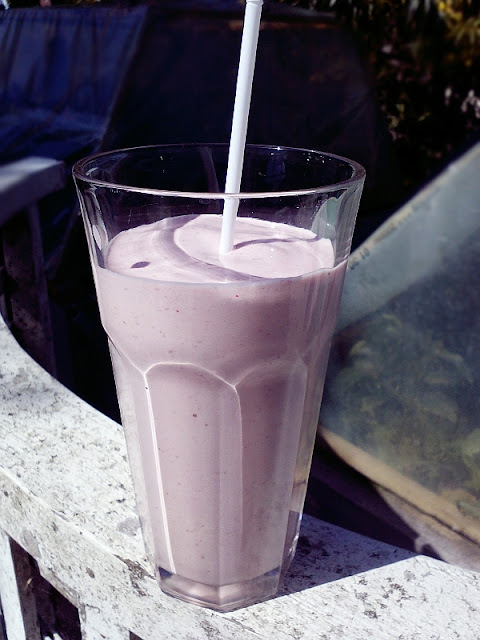 One very attractive smoothie. Yes, I agree. It's the perfect thing after a workout when you are all hot and thirsty. Thanks for visiting the blog, I've linked you up on the sidebar. It never occurred to me to use coconut water in a smoothie! Liberty Market, it's a big organic shop here in Chch. I've never seen them anywhere else. They are not in the supermarkets, even though their blueberries seem to be. I showed her the pic of your broken toe and she sends you hugs. Do you know how Stevia reacts for a diabetic? I could not find a recipe for jam using Stevia that would last longer than a week by the way! sugar acts as a preservative, whereas Stevia does not. 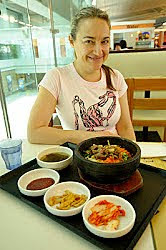 It was a case of ... eat the lot in a week or lose it! Everything I've read suggests that Stevia is fine for diabetics: it has no effect on blood sugar. Hmmm.... I see what you mean about the sugar acting as a preservative. I will see what I can find out, maybe you could add ascorbic acid? I know you can buy jams that are made with artificial sweeteners and they must have something in there that gives them shelf-life.